BEFORE YOU LEAP PLAN FOR A SAFE LANDING When you���re ready to make the leap to an enterprise cloud, choose a partner who can ensure a safe landing. Join global companies and federal agencies that are transforming applications and migrating them to the largest active footprint of cloud data centers and the only opex private cloud in the world ��� CSC BizCloud���. We focus on innovation and solutions that will shape your future ��� transforming legacy applications, delivering a secure, reliable, ���exible enterprise cloud tailored to meet your unique applications and workloads. CSC developed a Cloud Buyer���s Guide ��� an all-encompassing explanation of cloud from A to Z. Understanding cloud and knowing how to buy it is half the battle! CSC will lead you in the right direction. 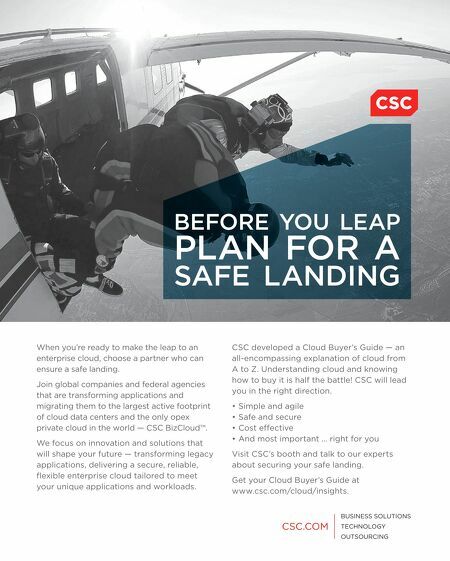 Simple and agile Safe and secure Cost effective And most important ��� right for you Visit CSC���s booth and talk to our experts about securing your safe landing. 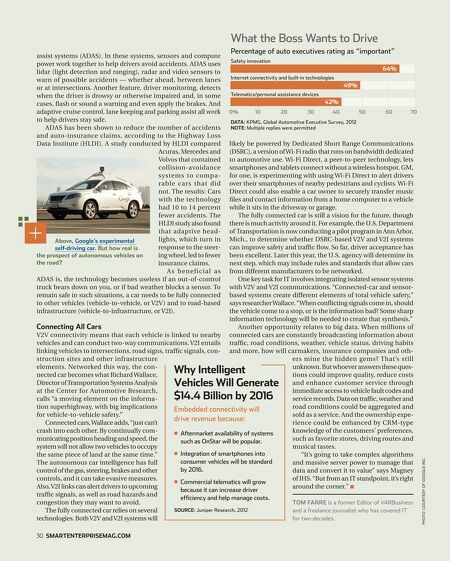 Get your Cloud Buyer���s Guide at www.csc.com/cloud/insights.